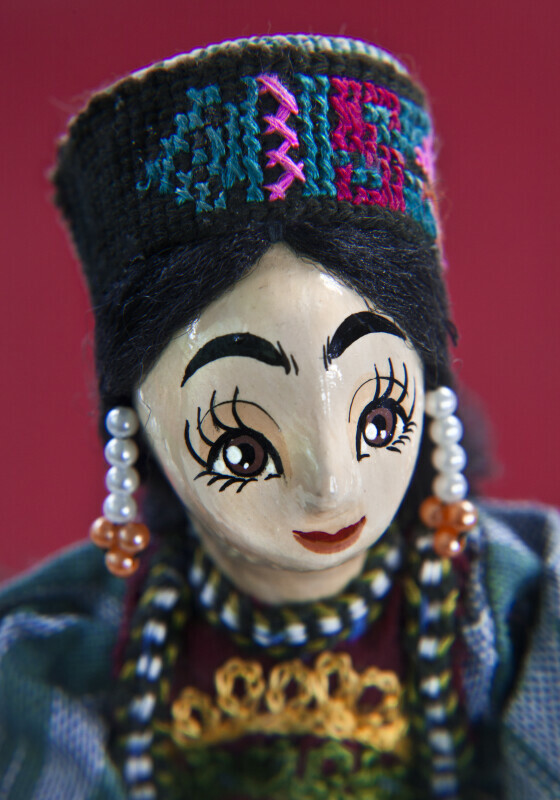 Handcrafted doll with wooden head, hands and feet. Her arms and legs are formed with rope. Her face is hand painted, and she is wearing a pillbox cap with embroidered trim. She has beads on her earrings, and her hair is braided yarn. In most cases, women worn several headscarves over the cap. This doll is wearing a colorful textile shirt with sleeves and trousers to her ankle. She also has an elaborate, embroidered apron. This figure stands 8 inches (20 cm) tall.